Need Help With That? 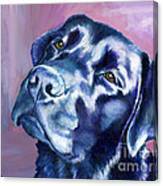 Black Lab is a painting by Amy Reges which was uploaded on March 25th, 2013. Labrador Retrievers are so smart and interested in everything. They are always ready to get involved and "help" with any task. This funny black Lab usually thinks she knows how to do it better too. 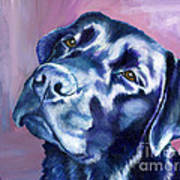 Fun painting created with a very limited palette, primarily blue and purple. 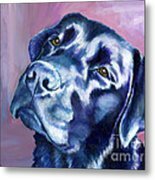 Original dog art by Amy Reges, OtterTail Lab Art is acrylic on canvas panel. 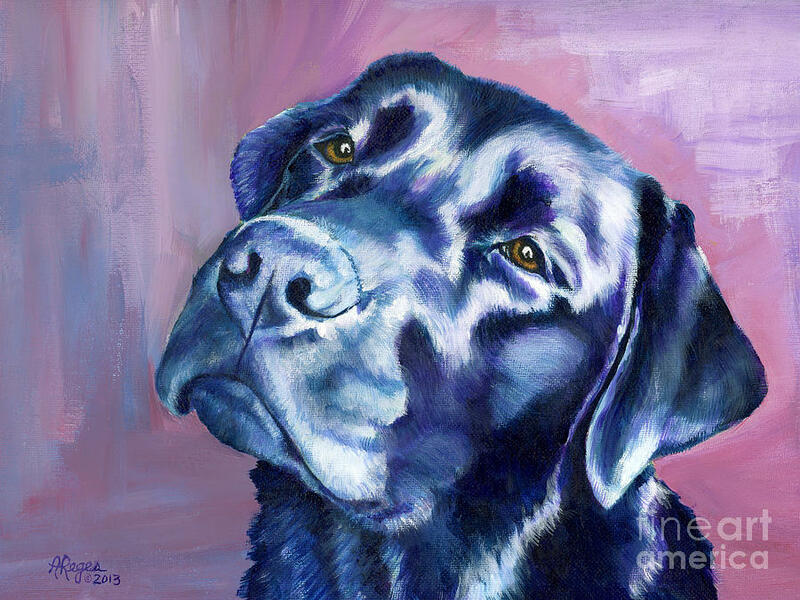 What an amazing beautiful portrait! So well described, and the colors are great! Thank you Silvana. It was fun to paint with different colors than I usually use. This girl is so full of herself she could easily sport any color!